I remember when I was about 10 years old and visited the National Zoo in Washington D.C. and saw the pandas very kindly sent to the US by China. I never could have dreamed at that age I would later live in China and get to personally visit the pandas in their native home of Chengdu. So many things about my life have been surprises and somehow are all the more sweet for being unexpected. 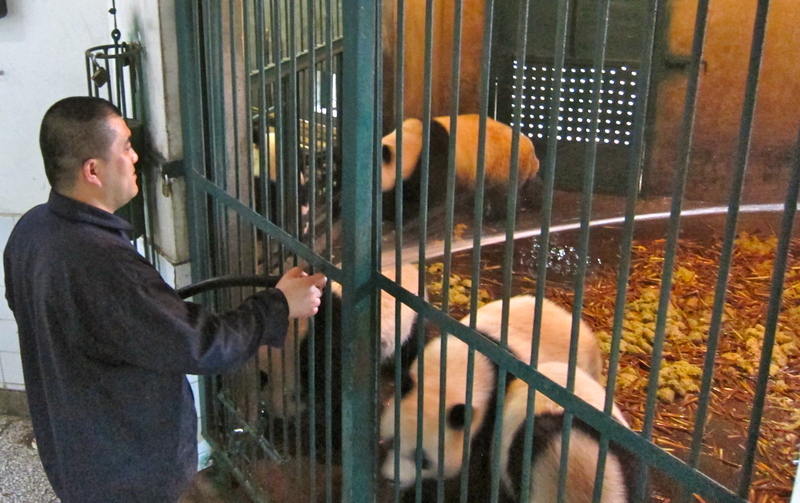 So as I spent a day visiting pandas in Chengdu, I was feeling mighty lucky indeed. 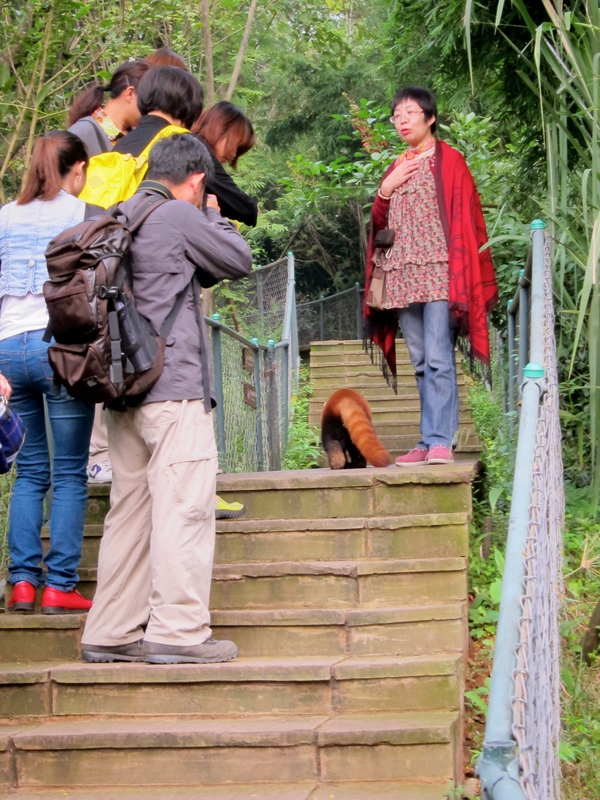 At the Chengdu Panda Breeding and Research Center outside of Chengdu, one can get up close and personal with the pandas. The best time of day to go is the morning feeding, around 8am. 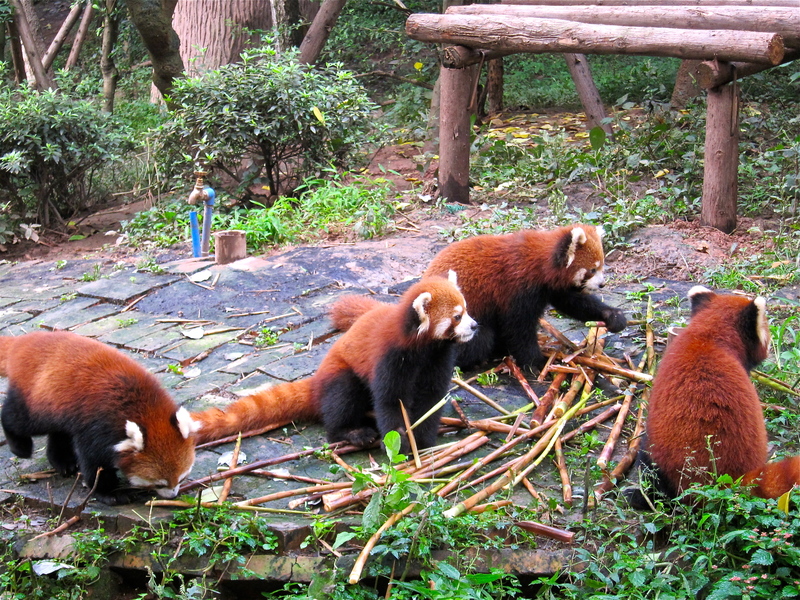 They get a shower while eating apples in the enclosure, and then they are released into the habitat to as eat astonishing quantities of bamboo. 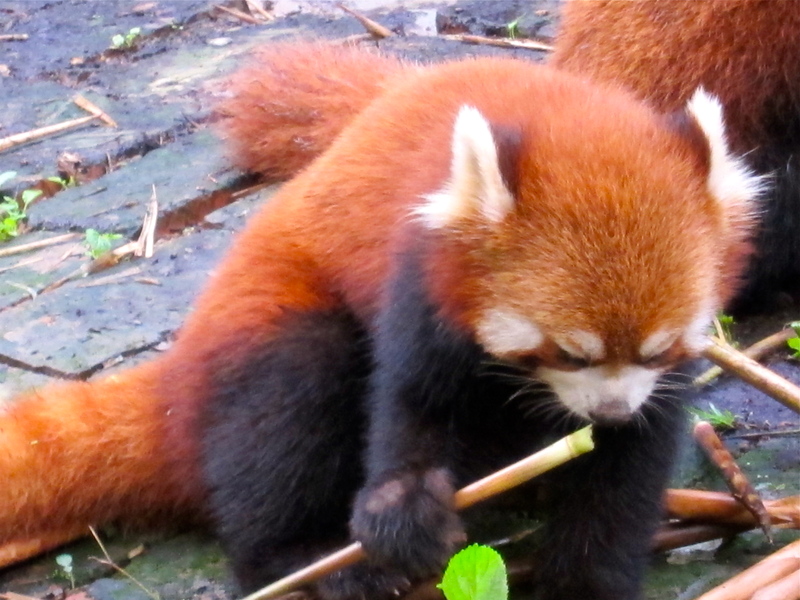 It’s actually interesting to watch their clumsy paws peel the bamboo before eating it. Apparently they only like the tender, green inside stalks. 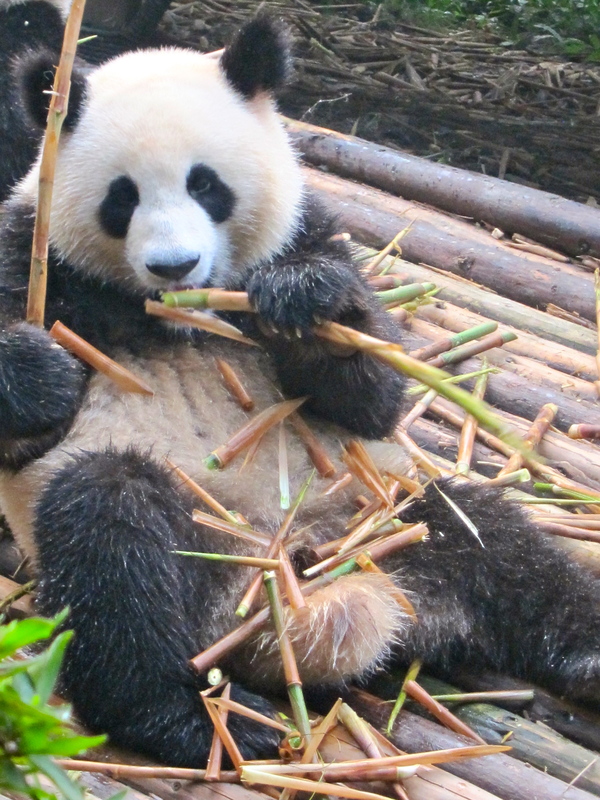 They like to lie on their backs and peel the bamboo, leaving the shells on their bellies. In the enclosures where there are multiple pandas, they are all under 2 years old – they have to be separated after that or they will fight. 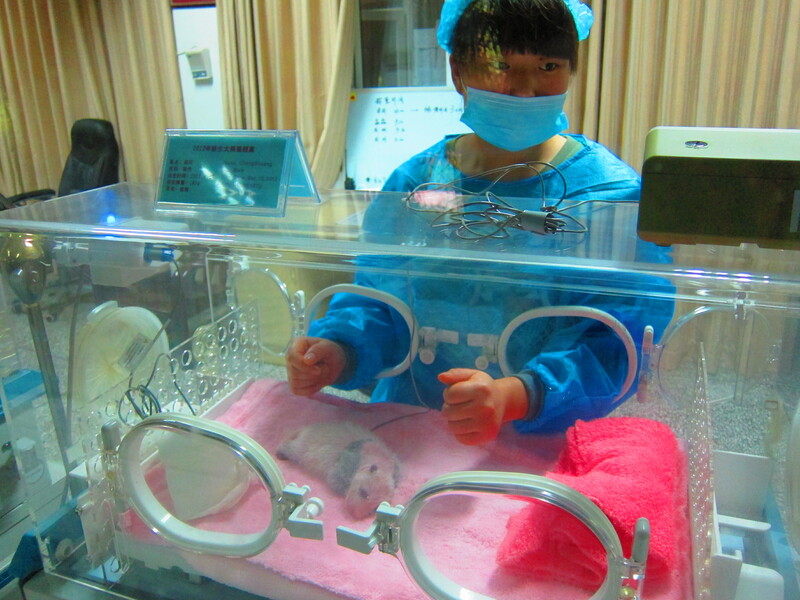 In captivity, panda mom’s don’t look after the babies, so there is a nursery to take care of them for the first month, until they are more self sufficient. In nature, the panda mom would hug the baby and not move for a solid month! 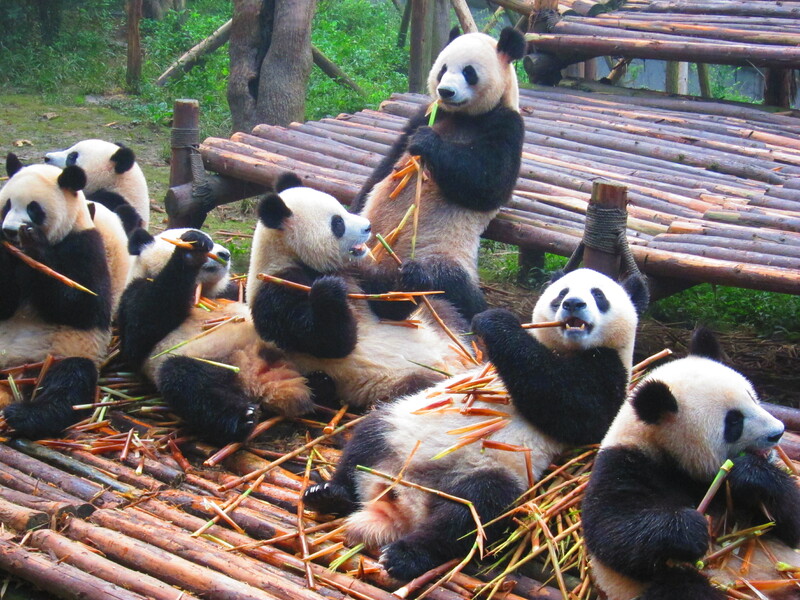 Pandas pretty much just sleep all day after eating. And they prefer to sleep in the trees because in the wild, it is safer and away from possible predators. 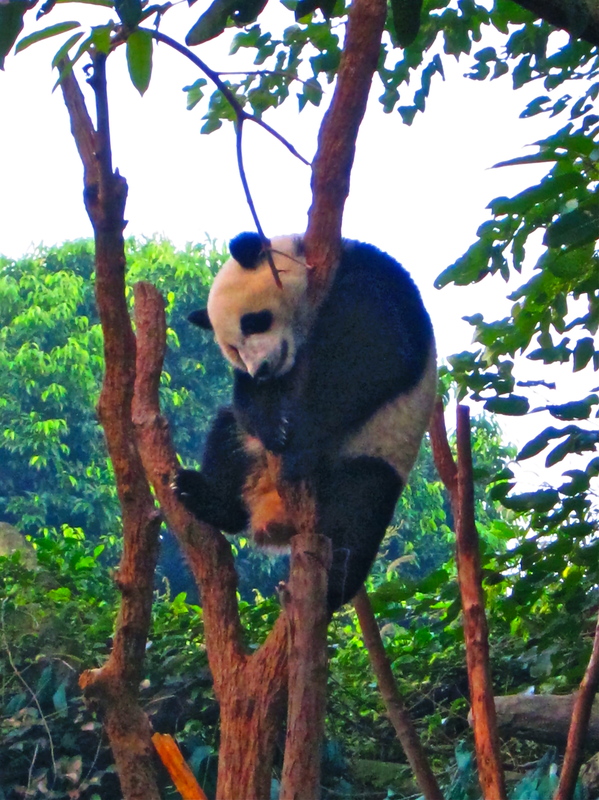 I learned that the Chinese for panda is Xióngmāo, which means “bear cat.” Seems fitting…. 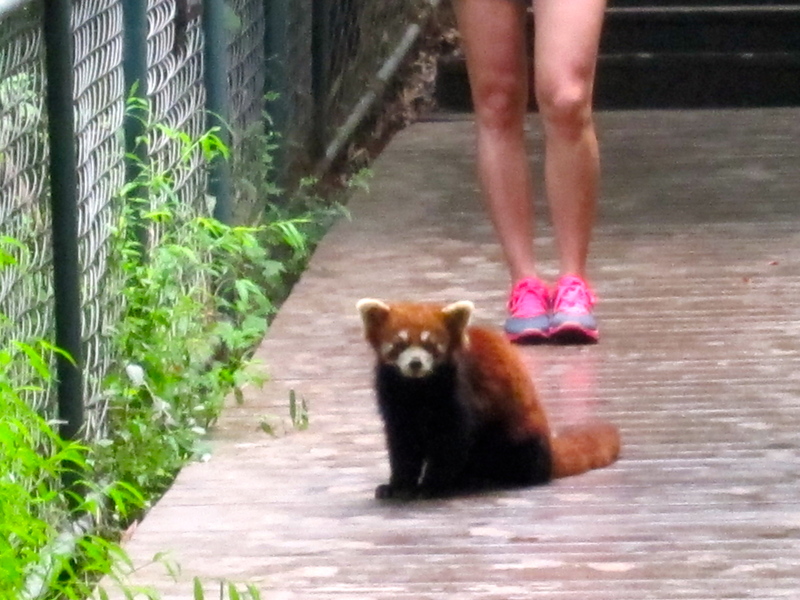 They also have the red pandas here, which look like crosses between foxes and raccoons. These creatures are allowed to roam more freely and you can often find them passing between habitats, thus having the opportunity to mingle with the visitors. 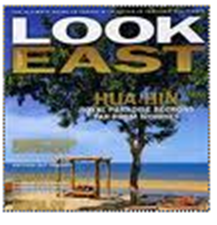 Seriously, this is a must do! 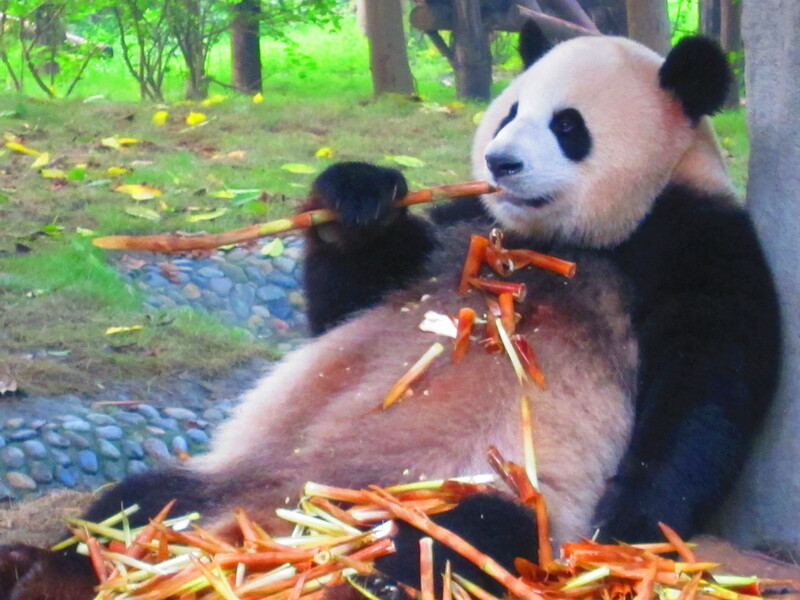 Don’t miss an opportunity to visit the Panda Center when you are in or around Chengdu.